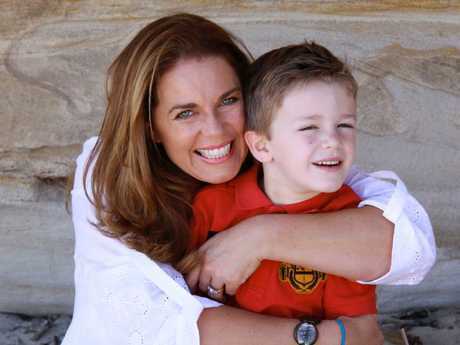 WHEN Australia watched Britta Hodge's struggle to get her son Logan out of his bedroom, parents across the country were up in arms. The Sydney mother-of-six was called pathetic and criticised for her bad parenting skillsafter appearing on last week's episode of 60 Minutes. Unable to comprehend why she couldn't just take the gaming console away from her addicted 14-year-old, keyboard-warriors flooded Britta's social media and her inbox. But it turns out there are hundreds of parents suffering the same fate. 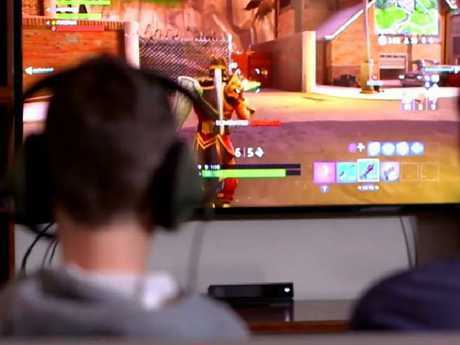 News.com.au has seen countless stories shared to the Online Gaming Addiction Facebook group Ms Hodge started to help other families like hers. From siblings king-hitting each other to teenagers dropping out of school and aggressive tantrums from kids as young as six, their stories are terrifying and heartbreaking at the same time. Shockingly, some parents have reported their children don't even leave the room to go to the toilet and end up sitting in their own waste for hours. Others felt guilty for not being able to help their children, and for perhaps starting the problem in the first place. How? Perhaps by buying a console for Christmas, allowing it to soothe their teen, or admitting to using it as a "tool" to distract or babysit their kids. 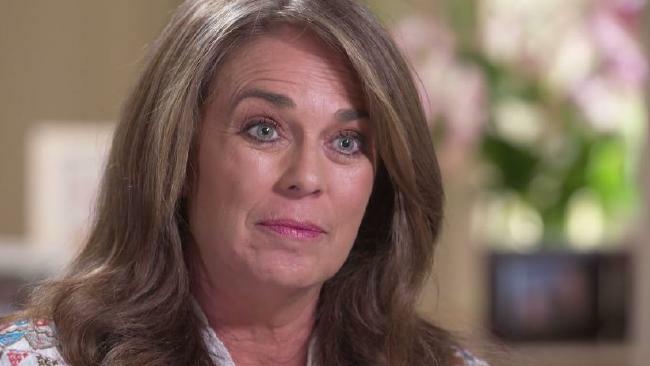 "The 60 Minutes segment clearly caused so much negativity among Australia - parent blaming, shaming, bullying and, quite frankly, the most disgusting display of hypocrisy," said one mother of a 12-year-old who joined the Facebook group. "If only their small-minded answers were so simply executed. They don't see the stress, the breakdown, the attacks, the meltdowns, the sadness." 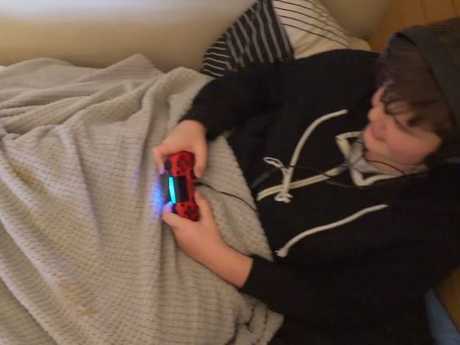 But this mum also admits she "stuffed up", saying the problem started because she initially liked how gaming helped her son with his autism. "Our son has and always had a communication disorder, a disorder that affects his ability to socialise," she said. "When I saw and heard his ability to feel free to talk and play without having to give eye contact, to play something where people understand his lingo, to have him feel like he had friends. "When you hear him say 'I let such-and-such win because he has only had two wins before', showing empathy and kindness the only way he feels like he can - that's how it got so far because I loved that he finally felt a little happiness when days for him are so difficult. "His senses don't cope in our 'normal' day, so yep I know I stuffed up, but man it's hard." 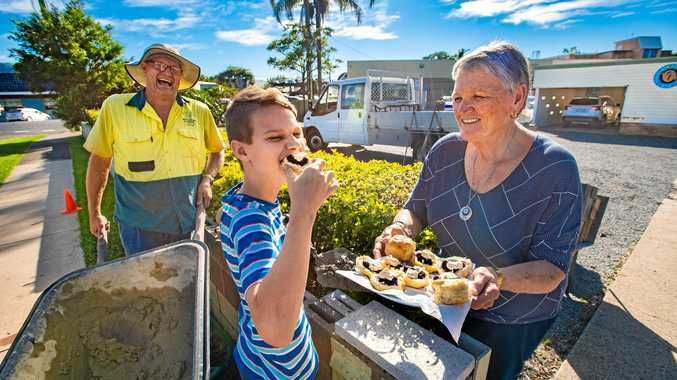 Mum Britta Hodge said she wanted Logan to return to the happy boy she once knew him to be. Another mother described how her nearly 18-year-old son has been out of school since he was 15, and now wants to get a job but with no people contact. Meanwhile, a mother-of-four said the situation with her 16-year-old son had left her feeling helpless. For the past two years her son has not gone to school and started a flexible learning options program last year. He was attending the program twice a week for two hours a session, but then stopped going. "He was given the option to work at home so he started doing that but now does nothing but game," she said. "He is refusing to do any courses or any study. He's applied for a few jobs online but he says he just wants to stay home and do what he wants. "He gets very angry at times and has put holes in walls, has damaged furniture and been abusive. He doesn't care about the other people in the house when he games at all hours of the night and day. He swears and thumps his desk or the walls if he's losing." The mother said the way the teens talked to each other on the games was atrocious. "I've taken his console away and he has complied at times," she said. "He keeps his room immaculate and does chores that he is asked to do but he flatly refuses to go to school or to be a functioning member of society. "He has high anxiety. Hes been assessed by five psychologists and one child psychiatrist and they can't seem to find him on any spectrum but have said he is a very sad young man. "We are at our wits' end." The mother said she cannot force her son to do anything because he is six foot tall and she knows she would not win in a battle. "There is so much we have tried with our son and it's all been in vain," she said. "It really isn't as easy as some people think it is. A lot of the nasty comments and judgmental people out there aren't helping me. I do feel like a failure. I'm feeling helpless." Psychiatrist Dr Tanveer Ahmed spoke to news.com.au earlier this week and said solving the problem was not as simple as removing the game. Instead, Dr Ahmed said the real issue was the social anxieties these children faced. "For these kids social death is worse than actual death," he said. "That's why they're retreating to these games." Dr Ahmed pointed out that while games were not the problem, there was now a greater level of sophistication to them that made them harder for parents to deal with. Teens know when they wake up there are countless people around the world waiting to play with them. "It is an emergency," Dr Ahmed said of the gaming problem.